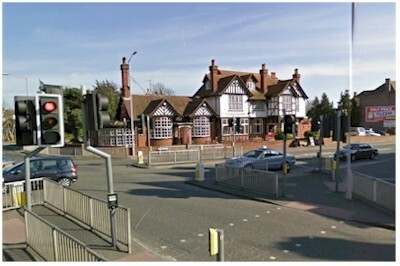 The 'Becket' as it's known locally, was built in 1911 along the lines of the Tudor revival Queen Ann style, reflecting the other buildings on this busy crossroads. 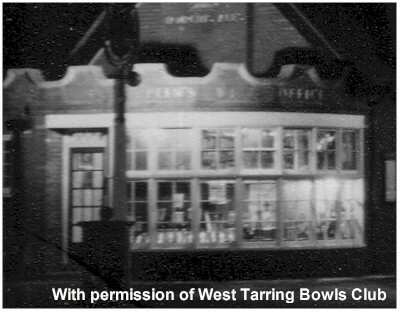 It has been said, that in the 1940s it had its own bowling green. 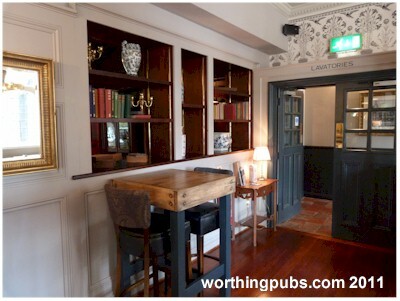 In 1968 there was a �,000 refit in a medieval theme which included a portcullis in the bar. 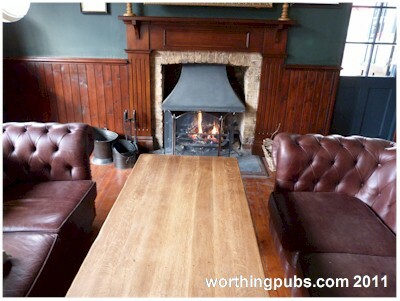 It was described at the time as Worthing's most luxurious pub. 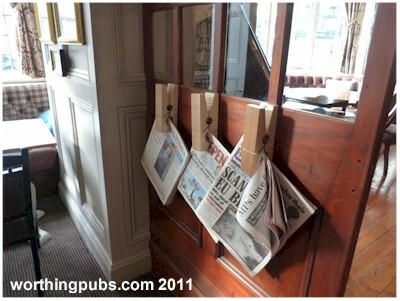 Update December 2011: Bowling green confirmed, picture available. 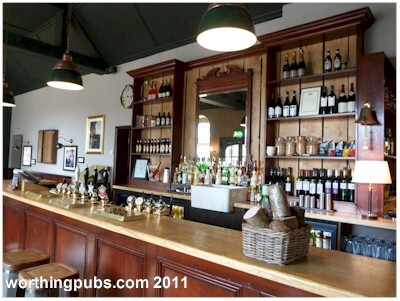 In mid 2011, the pub underwent another refit at a cost of �0,000 paid for by the brewery. Unusually, a section on the north end of the building was removed taking it back to the original external design of 1911. The large roof sign was also reinstated. 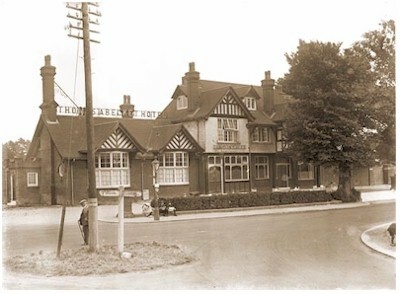 The Bowling Green: This rare picture taken from an upstairs window of the pub, clearly shows the bowling green in situ on the east side, its now a car park and children's play area. 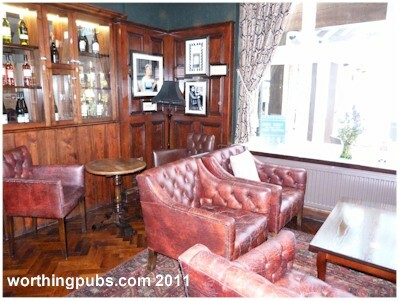 The green was opened in 1924 by Earl Winterton the 6th in June of that year and was built by R.R. Wentworth-Hyde. 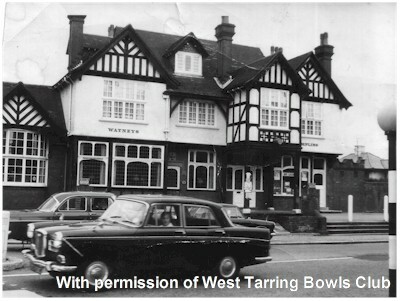 The bowling green lasted until 1957 when the brewery decided it wanted to turn it in to a car park, Earl Winterton was not best pleased and fought its closure to no avail. Fortunately the club was able to move over to Field Place where they still exist today. 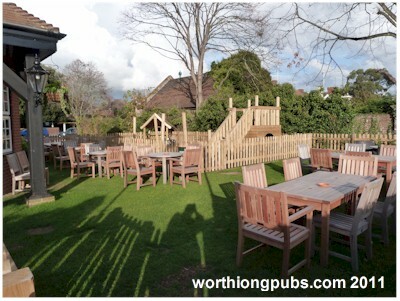 The swing sign depicts a bishops mitre which is still the symbol used by the Tarring Bowling club to this day. 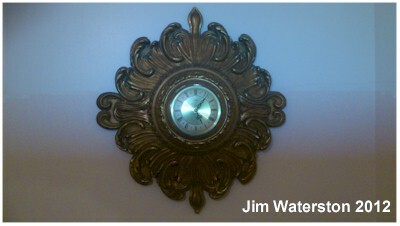 Picture kindly donated by Jim Waterston: This clock used to grace the entrance to the saloon bar. 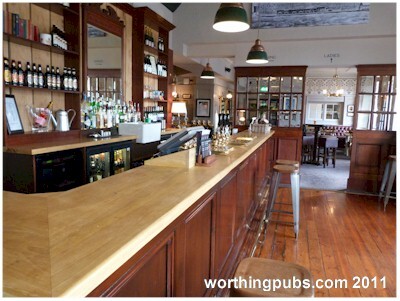 Internally, the once large and very long bar, has now been divided in to three sections but has managed to keep an airy atmosphere throughout. 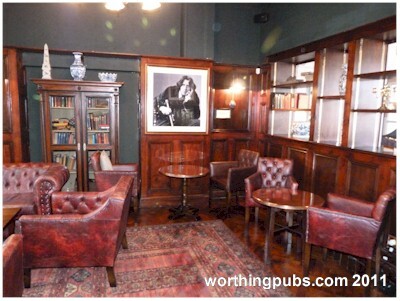 A small 'reading room' has been built within and furnished with comfortable dark red leather chairs, resembling a gentleman's club, otherwise the rest of the decor is very modern and clean cut. 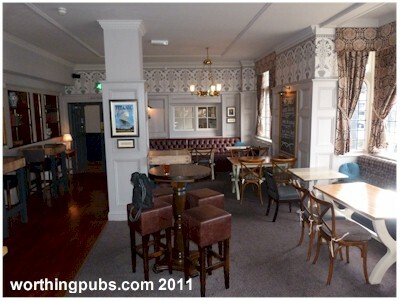 There is a large dining area and outside seating and large car park. A view looking north east to where the bowling green once stood. This is a Fuller pub. 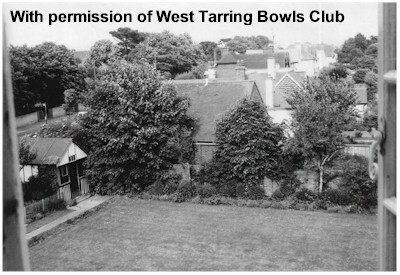 Special thanks to Trevor Rowe and the West Tarring Bowling Club.